One of the advantages of an organic farm is that the edible weeds are well raised. 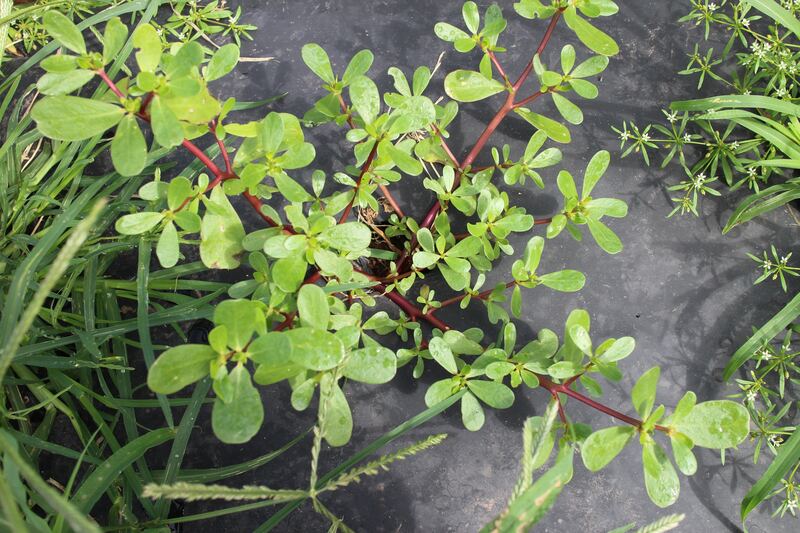 Purslane – a relative of the flower portulaca — is used as a vegetable in much of the world, other than the U.S. We think of it as an invasive, though beneficial, weed. I say beneficial because its root system and prostrate stems that creep along the ground seem to hold the soil. I looked up purslane’s nutrient content and, much to my surprise, it’s a more effective source of Omega-3 fatty acids than fish. Purslane is a succulent plant. 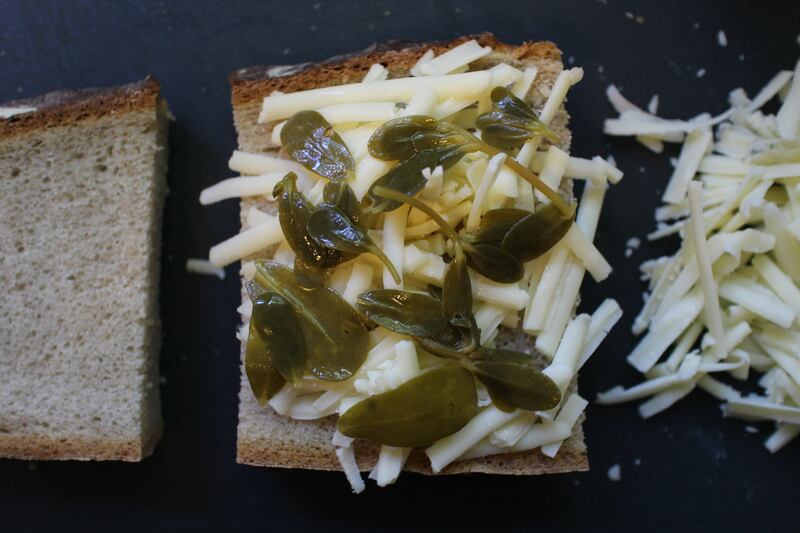 When the leaves are full grown, they’re like little baby cactus leaves in texture and slightly sour to the taste. Before now, I’ve only tossed them raw into a “Greek” salad of cucumbers, tomatoes, peppers, feta cheese and black olives. 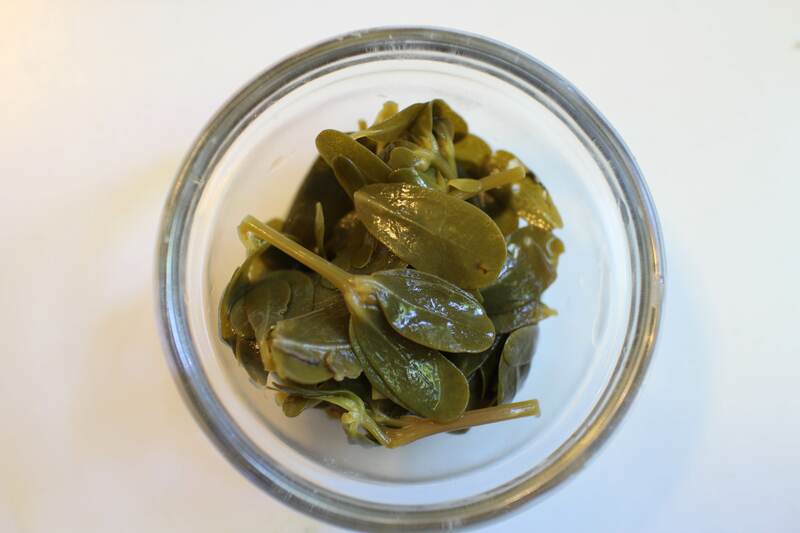 However, when I was reading Kevin West’s Saving the Season, a great new book on preserving, I came across a recipe for pickled purslane. What an idea! My first impression is that would be a swamp in a jar, but the purslane leaves were like a sponge soaking up white wine vinegar seasoned with salt and flavored by dill. These won’t be long lasting – ready in a week, eat in a month – or I bet they’ll turn into the swamp I feared. Kevin thinks they’ll last several months but I bet his leaves weren’t as young as the ones I harvested. As it turned out, the purslane was great pickled. I used it in the middle of a grilled cheese sandwich, and I can imagine it would be delicious with paté. When the leaves are all used up, I’ll use the flavorful vinegar in salad. Boil water and pour it into a clean pint canning jar. Rinse and drain the purslane leaves. Pack them into the jar along with the dill frond, red pepper and garlic. Combine the remaining ingredients in a saucepan and bring to a boil. Pour into the jar to cover the purslane completely. Distribute the spices throughout the jar. Seal and allow to cool. Store in the refrigerator for a week before using. This will keep for a few months according to Kevin West. I love purslane- so delicious!